Oaks ‘n Acorns | Kids in T.O. 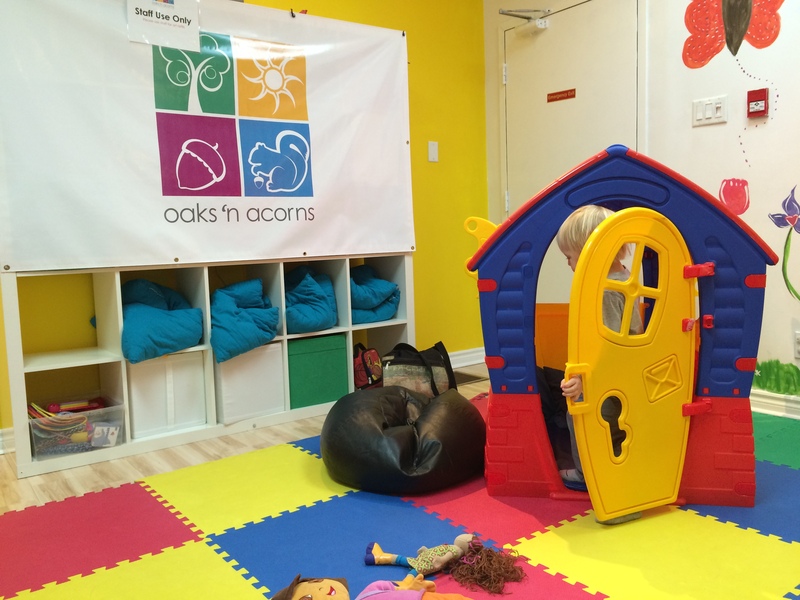 Oaks ‘n Acorns was Kids in TO’s first review. We love when we find a great go-to spot and then it just gets better. This bright, colourful and clean café and kids activity studio on Danforth East has expanded in both space and classes that we had to update and repost. What’s new? In addition to the always awesome free crafts table, baby area and lego station, the back room has amped up the play with a little playhouse, kitchen, doll house and toys. Wanting them to be a bit busier? There is a new back studio space offering classes (similar to the one downstairs.) When it’s not in use, it’s free for the running with mats, balls and hula hoops. Their schedule of classes for moms and kids is constantly growing and changing. They offer drop in for those who like to sample. But if you do commit, you are allowed up to two make up classes. Super options. Getting there – Paid street parking ($1.50 per hour) on Danforth Ave. One-hour free parking along the residential streets. Public Transit: Just west of Woodbine subway station. Low-down: Stay n’ Play cost is $5 + $2 for a sibling – babies up to six months are free.) Stay n’ Play is free if you’re enrolled in one of the classes. They also offer holiday camps and birthday parties. And there are perks to becoming a member. Food – Coffee, tea, and loads of snacks plus meal options such as paninis and pizzas. Feet – Shoes off at entrance. Bring indoor shoes or socks.